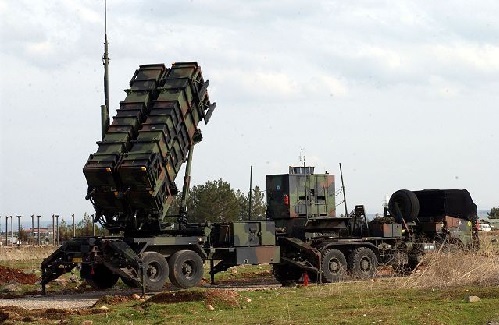 Romania is set to receive new ballistic missile defense units as part of US foreign military sales. A $395 million contract modification enables Raytheon IDS to produce a phased array tracking on radar to intercept option fire unit in support of the PATRIOT system. Phased array radar systems are used to scan, identify and track both enemy planes and incoming ballistic missiles. A PATRIOT firing battery includes several components: an antenna mast group, radar, electric power station, launchers, ECC command center, and maintenance center. They are carried on a mix of heavy and medium trucks. The radar set is either an AN/MPQ-53 radar for PAC-2 systems, or an AN/MPQ-65 for PAC-3 systems and is carried by a 10-ton M983 HEMTT truck pulling a M860 semitrailer. Work will be performed at various locations. Including Andover, Massachusetts and McKinney, Texas. The contract has an estimated completion date of April 30th, 2020.